Your guide to compare Viking River Cruises vs Avalon Waterways - Which is best for you? Researching river cruises? Viking River Cruises and Avalon Waterways are often compared, appealing to a similar age group, within the same budget range, and traveling the same routes. Our ultimate guide is here to help you decipher the similarities and differences to make the best choice for you and your travel companions. Read on for our Ultimate Guide comparing Viking River Cruises & Avalon Waterways! Viking River Cruises and Avalon Waterways are two of the leading river cruise operators, and often compared. River Cruising is one of the fastest growing travel options, increasingly popular among baby boomers and families. It's a wonderful way to cover a lot of ground while still achieving an intimate feel, as river cruises are small enough to travel where larger cruises cannot. River cruise travel means great convenience and comfort. Only unpacking once and residing in a comfortable stateroom, you can watch the world glide by with a glass of wine in hand. This is a floating hotel but not like a monster cruise ship. The number of passengers rarely exceeds x - meaning intimate group size for excursions and meals. Even with the small size, river cruise vessels and spacious enough to provide ample privacy and comfortable state-rooms. Viking River Cruises are premium river cruises primarily in Europe with a luxury feel. They offer a casual and comfortable vibe, (no “dress code” for dinner or strict reservation rules), yet still provide fine dining and high calibur food and wine. Avalon Waterways is a part of the Globus family of brands. They offer numerous cruises on Europe’s rivers as well as the Irrawaddy, Mekong, and even the Galapagos. Between the two of them Viking and Avalon cover almost every river in Europe and the most popular destinations around the world. Of course the beautiful blue Danube is heavily favored among both Viking and Avalon. Fans of the BBC will immediately recognize the sight of a Viking River Cruise sailing past the quintessential Danube sight, the Hungarian parliament building, at sunset. Viking offers 7 classic Danube river cruises, including a new religious themed cruise to see The Passion Play in Oberammergau. Avalon offers a larger collection of Danube cruises to choose from, covering a wider variety of stretches and durations. When it comes to world river cruises, outside of Europe, the primary differences are that Viking offers Nile river cruises in Egypt while Avalon is where to go if you’re interested in a South America river cruise. In Asia, both run Mekong river cruises, while only Avalon offers Irrawaddy and Ganges routes and only Viking provides a cruise along the Yangtze river cruise. The most popular routes for both Viking and Avalon are along Europe’s many rivers. 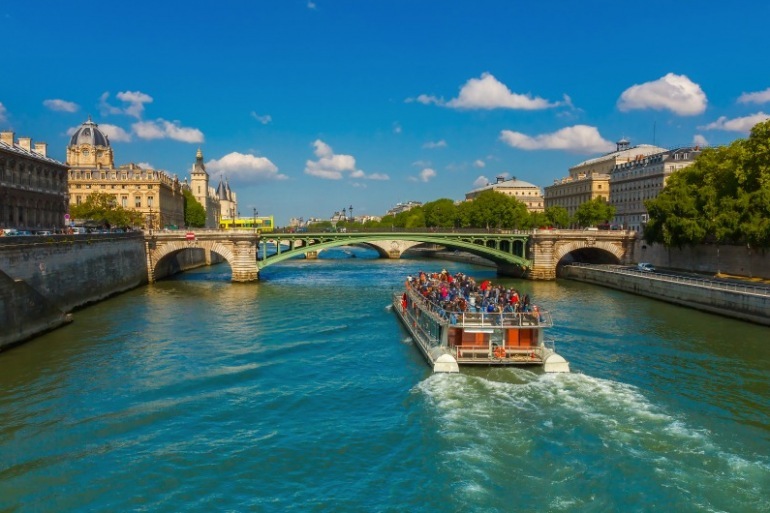 These include westbound and eastbound direction itineraries on the Danube, the Rhine, the Douro, the Elbe, the Main, the Moselle, the Rhone, the Saone, and the Seine.